As the officers of the Roman Legions, the centurions were usually immediately identifiable due to their horse-hair plumed helmets. In the later years of the Empire, these plumes were replaced with metal crests, as in this Late Roman Centurion Helmet. This helmet is remarkably similar to the helmet that would have been worn by a typical Roman soldier, featuring only a few minor differences that set it apart. Like the typical troopers helmet, this helm features smooth crown and flaps along the sides that protect the wearers face, while keeping their ears open and unobstructed. A flap along the back protects the neck without compromising movement. 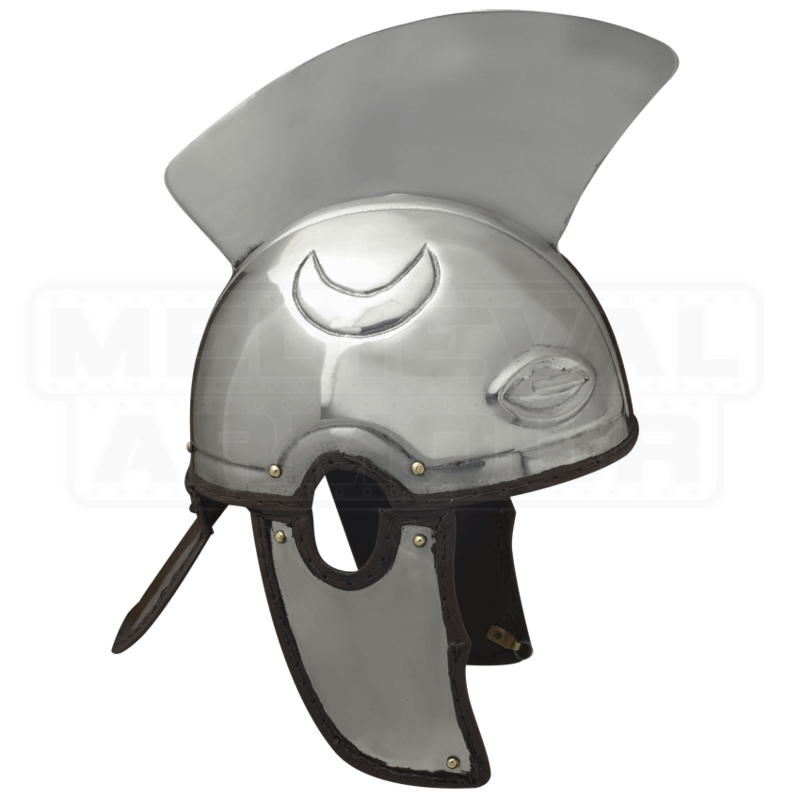 Adorning the top of the helmet, though, is a large metal crest that makes the helmet easier to pick out in a crowd. Also adorning the crown is a crescent moon design, along with oval shapes near the helmets front. 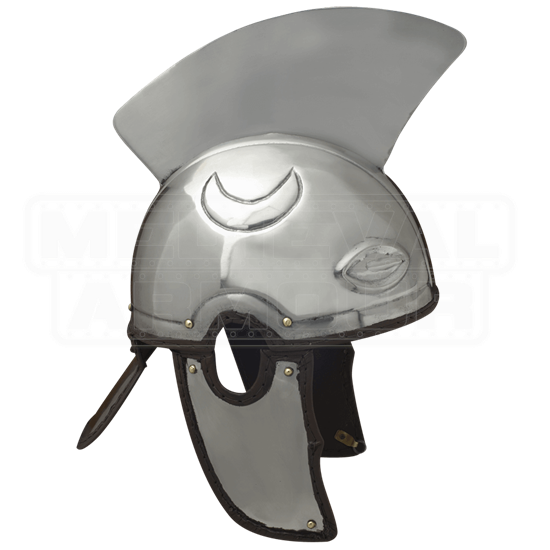 This impressive helm is made from quality metals, and also features a polished metal finish that makes the helmet look newly made. If your goal is to create a historically accurate centurion outfit from the later years of the Roman period, then you will definitely have need of this Late Roman Centurion Helmet. Even if you are not putting together an outfit, then collectors and enthusiasts could still add this helmet to their collection, where it will be admired and commented on by others.